Non-compete agreements are a part of business, no matter being a business owner or employee. Here is some information to help you with your non compete situation. Gun rights are a hot topic, and having your rights removed for gun ownership is a real issue for many people. However, there may be ways to have your rights reinstated. Find out how you can received a conceal and carry permit if you were denied. Mental health is a big topic when i comes to who should and should not be allowed permission to received a gun permit. Even if you are voluntarily committed for mental health reasons, you could be denied firearm rights. Are You Being Forced to Sign a Non-compete Agreement? Have you been properly compensated for signing your employment non-compete agreement? North Carolina law specifies that certain consideration must be provided to employees who sign a non-compete for their employer. Make sure you know what benefits you are entitled to receive. What are Your Employment Rights for Non-compete Agreements in North Carolina? Does your employer require signing a non-compete agreement as a term of employment? If so, then you should know your North Carolina employment rights. 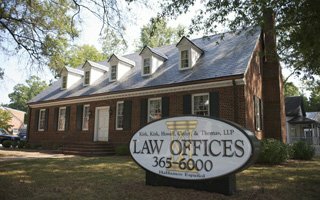 Our Raleigh law office has provided some information that may help you determine if you are entitled to more compensation.